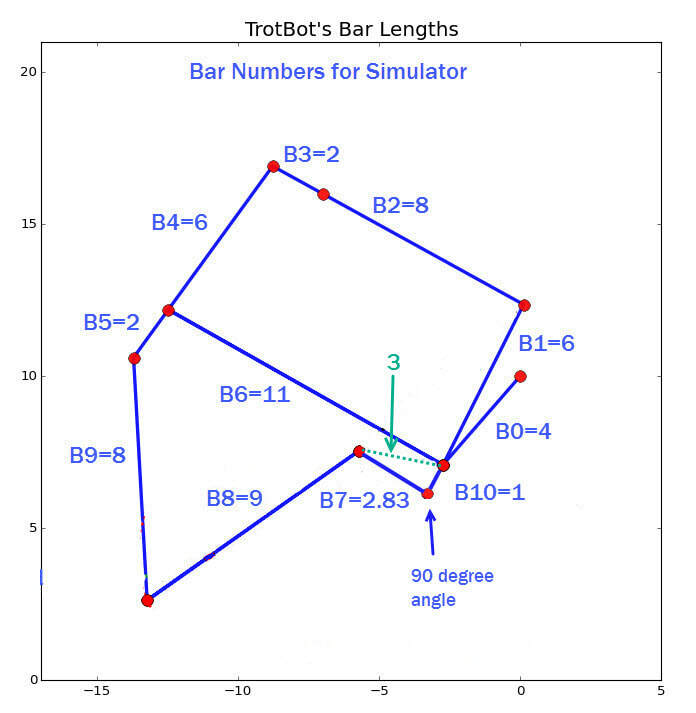 Non-LEGO TrotBot with bar B7=2.83. Note: if B7 were connected to the crank its length would need to be 3. 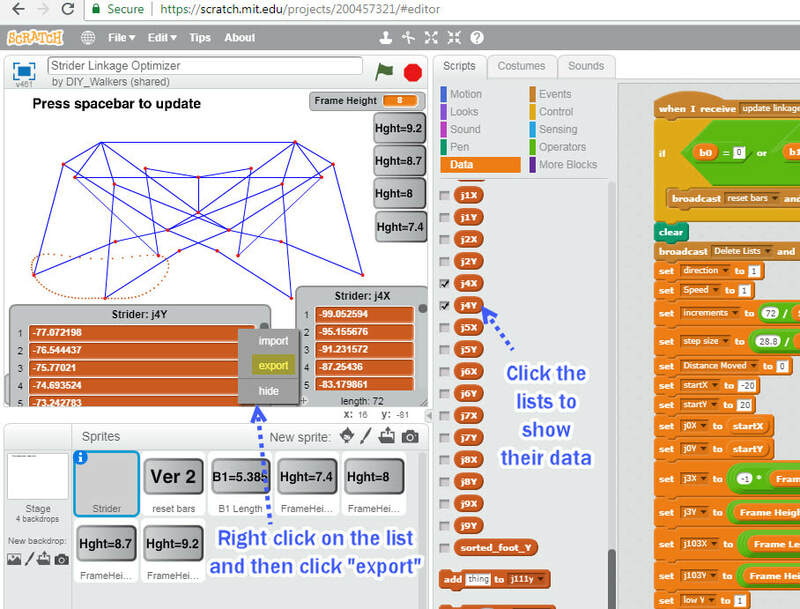 If you want to graph a linkage's foot-path or horizontal foot-speed, then open the project on MIT's site, click "see inside" and follow the steps in the images below. 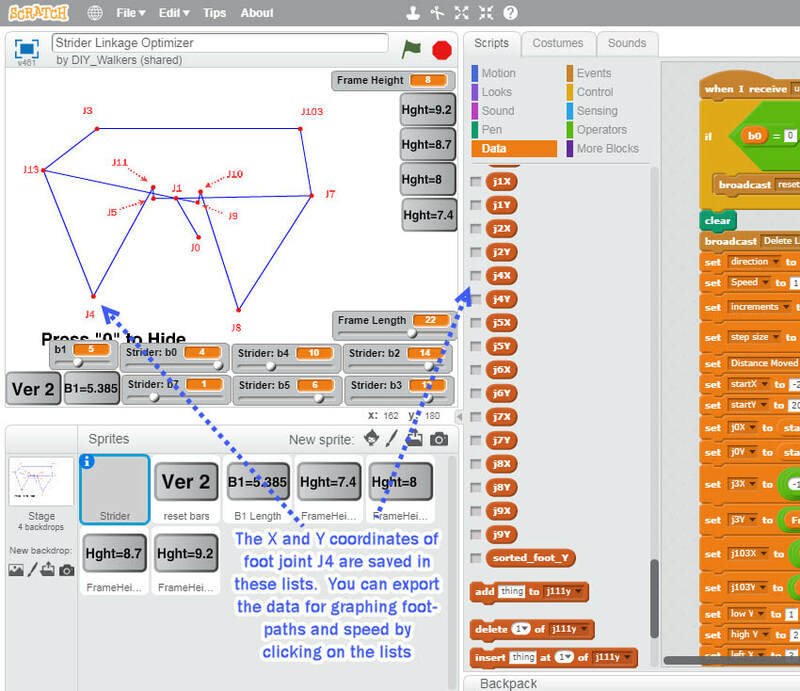 ​For an easier linkage simulation in Scratch check out the 4-Bar Linkage. Below is the embedded simulator. You can also run them on MIT's site where you can modify the Scratch code. After changing a bar's length, click somewhere other than a slider bar and then press the space bar to see the new linkage and foot-path, and use your keyboard's left/right arrows to rotate the crank. ​The algorithms, and how we used them to simulate linkages, are described here. To play TrotBot Goalie, click the green flag to start. Then, press the left keyboard arrow to walk left, the right arrow to walk right, "z" to jump left, "x" to jump right. For other Scratch coding examples check out the code in the games below (not linkage related). ​Modify the game by adjusting the force of Gravity, and the Level of difficulty.